Anemia is not safe in both acute and chronic conditions due to its association with a high risk of major organ injury. The highly oxygen-dependent brain is especially prone for hypoxic and ischemic changes which are likely to develop in neurosurgical conditions. New knowledge continues to emerge regarding the cellular mechanisms that maintain oxygen homeostasis during anemia. The existing treatment modalities of anemia have not produced demons ratable improvement in patient outcome, and the inherent risks associated with transfusion cannot be underestimated. 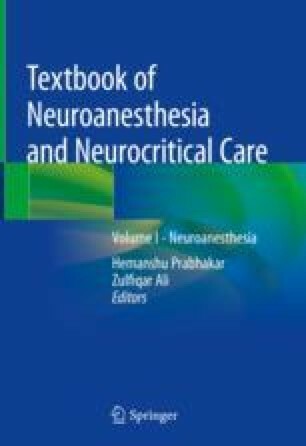 Currently there is no level 1 evidence by which definite transfusion guidelines for neurosurgical patients can be recommended. This chapter combines all the evidence surrounding anemia, transfusion, their effects on clinical outcome in various neurosurgical scenarios, and the possible future directions.